Canon announced the EOS Speedlite 430EX-III RT flash a few days ago. 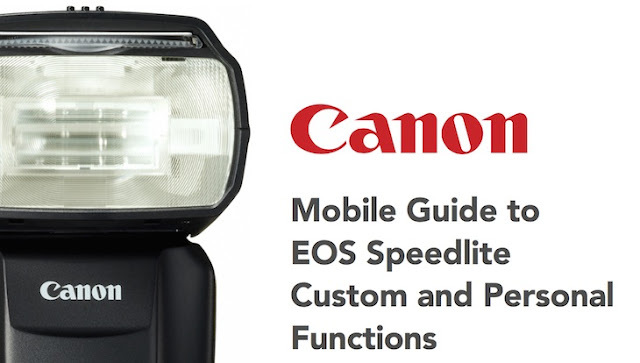 Now the Canon Digital Learning Center posted a Mobile Guide to EOS Speedlites Custom and Personal Functions. One can refer to this cheat sheet without consulting or carrying a full manual. Click here to download your copy and carry it in your camera bag for quick reference. It offers step-by-step guidance on specific features and techniques for numerous Speedlite models.